High time you dumped your last season bags and checked out whats in for autumn-winter. Lavie has introduced its latest A/W 15’ range and its everything you would want in your wardrobe. Right from fairytale printed bags to studded grunge numbers to innovative textures, there is everything to suit every girl’s style. And the best part, every piece is trendy, chic and highly versatile. Not to forget, they’re always bang on when it comes to quality. Take a look at the 10 awesome designs from their latest range and visit one of these sites to buy your favourite handbag jabong, amazon, snapdeal, flipkart. 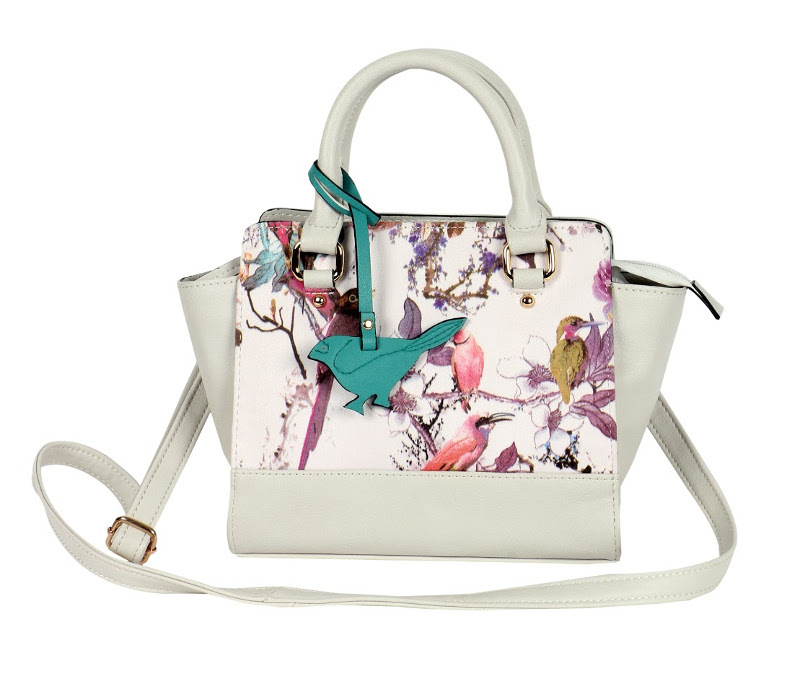 This beautiful print tote bag from their ‘fairytale’ collection will work so perfectly with a dainty, delicate dress. For the woman who does not fear showing off her darker side. 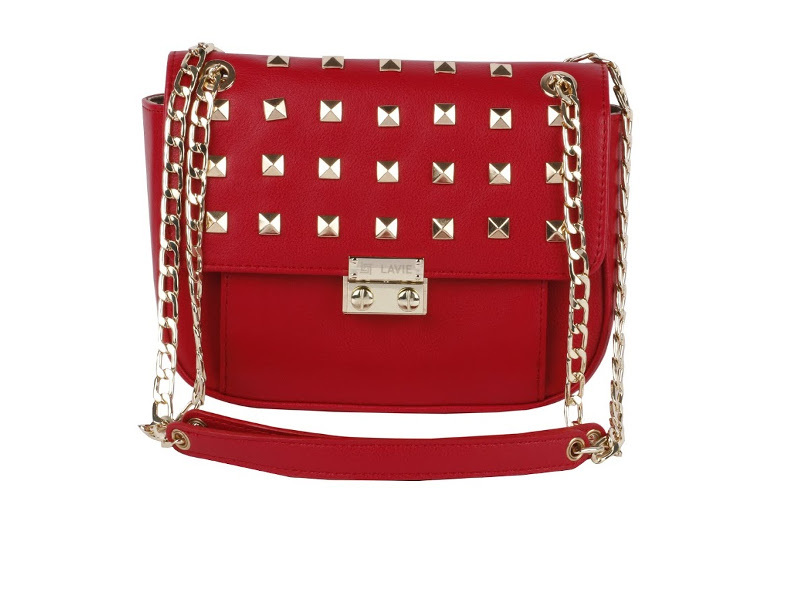 Perfect grunge material this gold studded red bag! 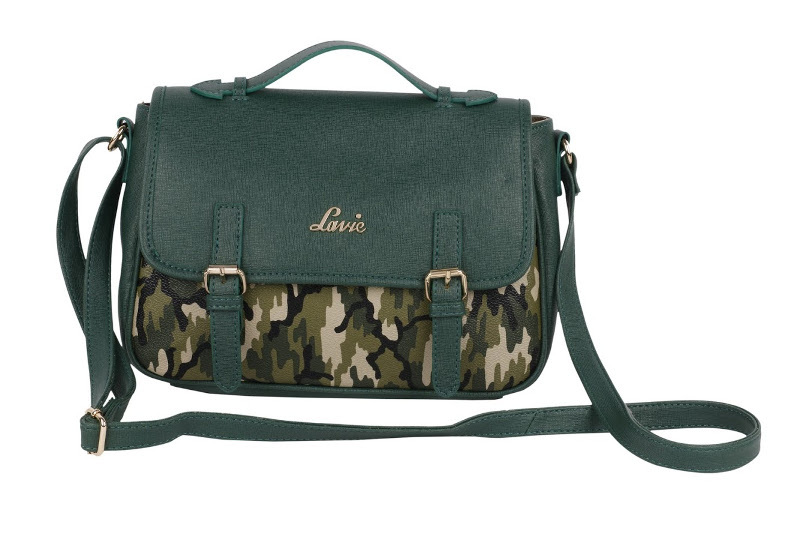 This bag is perfect androgyny. Its both feminine and rugged with loads of style. 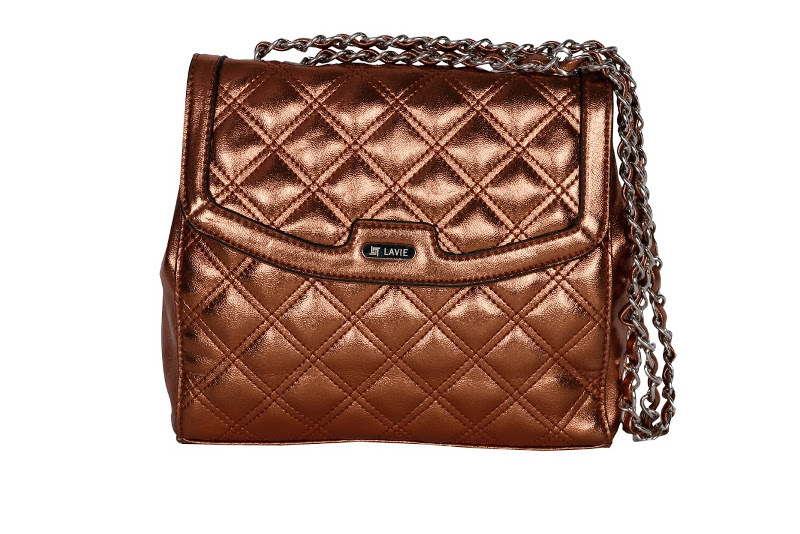 Vintage meets futuristic in this quilted metallic mag. 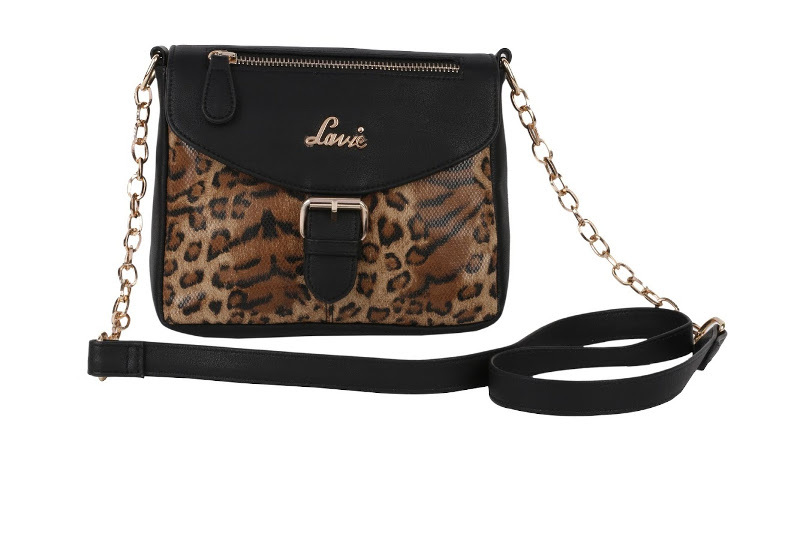 A classic flap with metal chain strap, it will get you ‘so’ going for an evening date. For the girl who is practical and fierce. Does not carry the whole world in her bag. Just the bassic necessities with style. 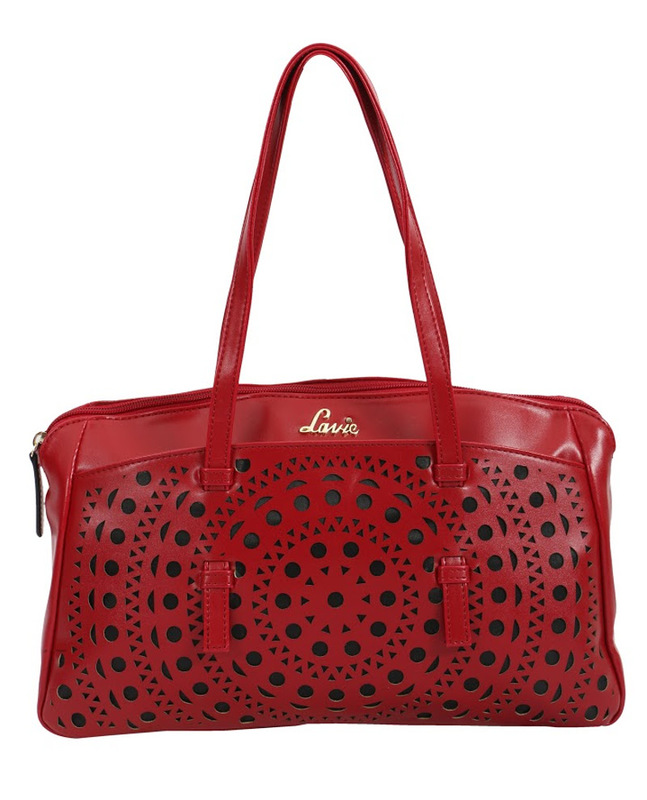 The cut-out texture on this bag and the bright bold red can add so much to an otherwise boring (and safe) corporate attire. Just the kind of thing to get you the right attention. 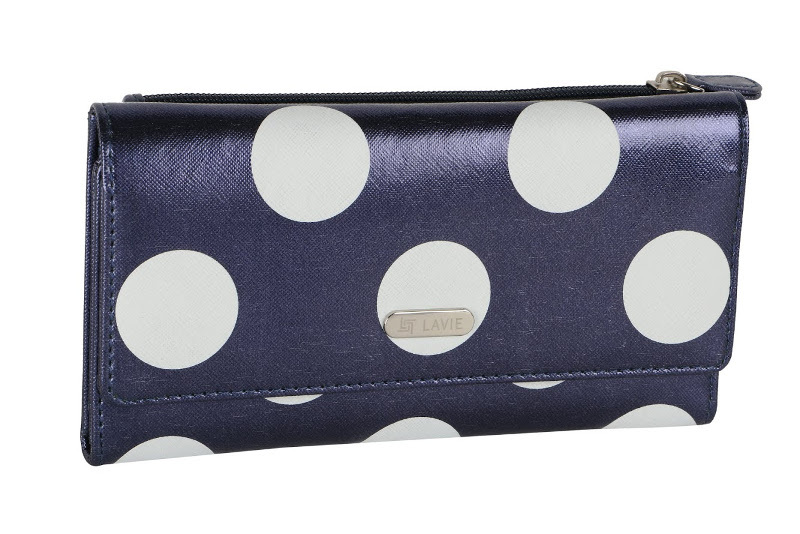 The retro polka dots mixed with the futuristic metallic surface makes it such a pretty and deadly combo. And the perfect size of the wallet makes it travel friendly too. I would so carry it and flaunt it! 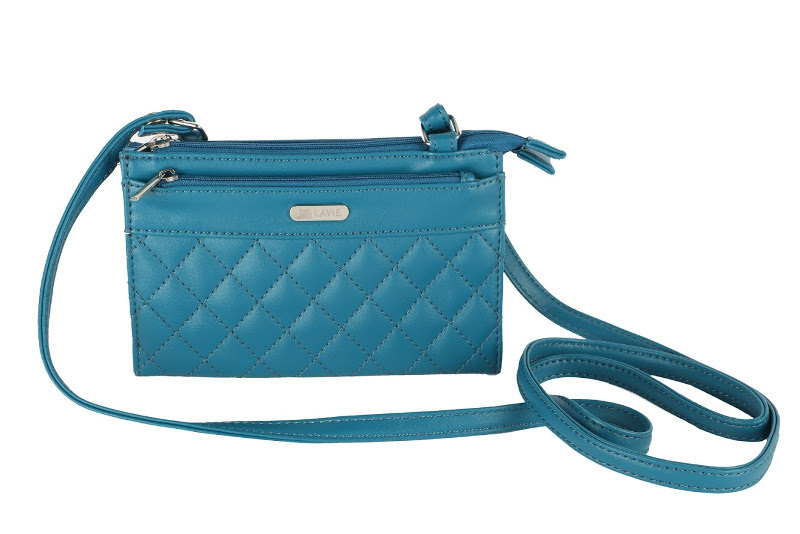 The cute size and playful blue color makes this sling bag perfect for young college girls. When they step out with friends in the evening for coffee. 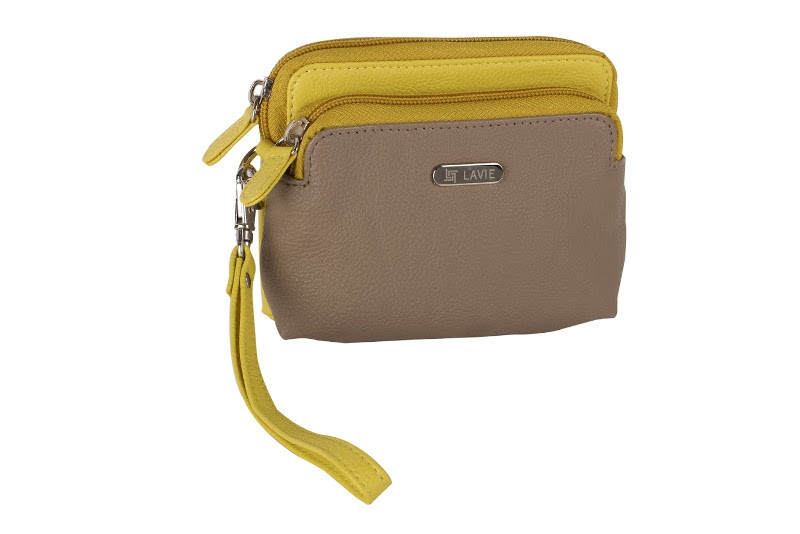 A definitely very cute number, this little coin purse with yellow accent can accomodate enough coins and some cash too. The pop of yellow will also shine through the mess in your tote bag. 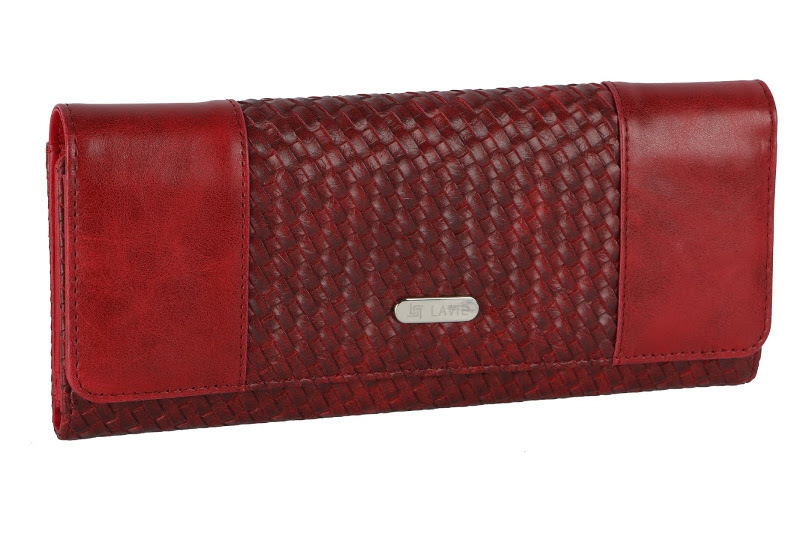 The classic weave texture and the cheerful red makes this wallet a must-have. Big enough to accomodate all your cash and cards and smart enough to add to your stylish personality.